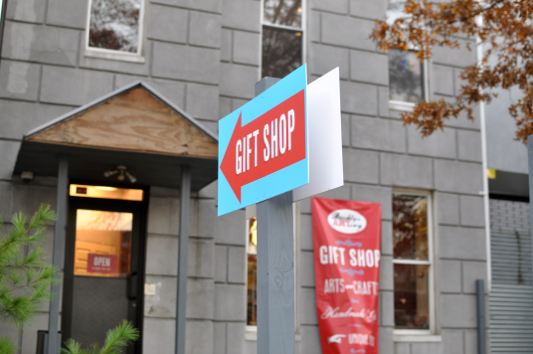 The Brooklyn ARTery co-founders, Susan Seigel and Jocelyn Lucas-Rosenberg, just opened the gift shop, and it is the perfect spot to hit for holiday gift shopping – lots of locally made goodies and DIY classes on the calendar. While you are in the Ditmas Park area, make sure you stop by and grab a couple of Good Bars. That’s right, you can get your Good Bar on here. Kati has just delivered a small supply of The Black Standard, Brooklyn Blues, and Dem Apples (made with apples we picked in Warwick). We couldn’t be happier about launching our super special Good Bars at this vibrant locale. Say hi to Susan and Jocelyn while there — they are true champions of local artisans and extremely knowledgeable about the unique finds there. ← See You at PS8 This Saturday!